We are absolutely extremely excited to introduce Lauren Child: The mega-talented Author and Illustrator of Charlie and Lola, Clarice Bean and Ruby Redfort – and mama to gorgeous little girl Tuesday. Lauren Child is most well known for her characters Charlie & Lola (most of us mamas will have the line ‘I have this little sister Lola – she is small and very funny’ imprinted in our brain -and you might have recognised Lauren’s super cute way of the way that kiddos speak in our line above.) 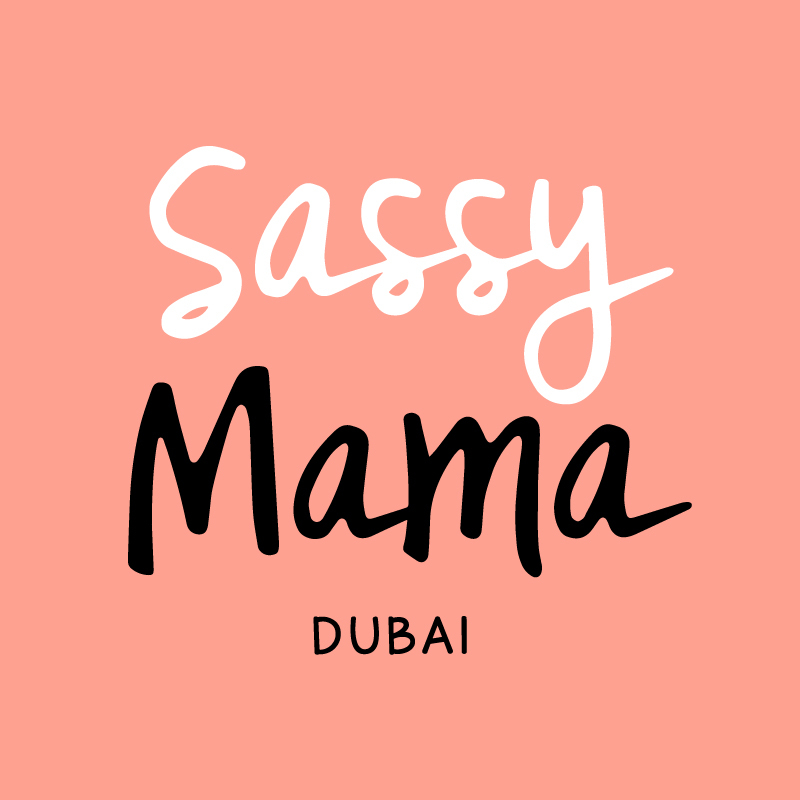 She’s inspired the imaginations of children across the world and is a big favourite in the Sassy Mama households – so with the Emirates Airline Literary Festival just around the corner (tickets are on sale now mamas – click here to book), we caught up with Lauren about her imminent visit to our desert city, the inspiration behind her amazing fictional characters, being a mama to her little girl Tuesday and tackling the work/family balance. We can’t wait to see you in Dubai! Will it be your first time here, and what are you excited about seeing, and planning to do? It will be my second time in Dubai. I came a few years ago to the Dubai Literary Festival and really enjoyed it. I have quite a busy schedule of talks and events at the Festival this year so not sure how much time I will have for sightseeing but it is always interesting to see who one meets, I loved chatting to the people who came to my events last time. We LOVE Charlie & Lola – where did you get your inspiration from for both characters – are they and their adventures based on real little people or your own childhood memories? Lola was inspired by a little girl that I saw on a train when I was travelling in Denmark many years ago. Charlie and Lola is really influenced by Scandinavian architecture and décor. I’ve got lots of Scandinavian friends so I often use their names too in my books. Which do you imagine first – the illustration or the story? I think a lot in pictures so I very rarely need to draw when I’m thinking about an idea as I can see it all in my head. I most often write the story first and then come back to it to do the illustrations. Sometimes the story evolves from one tiny drawing I have noted down. How old is your little girl, Tuesday, and does she relate to Lola (or Charlie!)? Tuesday is 5 years old. She helped me with the latest Charlie and Lola – One Thing, which was partly inspired by counting with her. She also drew the numbers that are on the end papers and she sometimes helps me with colouring in. We haven’t met your characters Clarice Bean and Ruby Redfort yet (our kids are a little young still) – could you tell us about them? They sound like very sassy girls! Clarice Bean was the first book I wrote. She began her life in picture books; a seven year-old girl living in a large family and sharing a room with an irritating little brother, Minal Cricket. There are also three Clarice Bean novels which take her from eight to eleven. Clarice originally came from my imagination and possibly maybe the girl I wished I was at her age, but now I think I do tend to write about things that either upset me or that I think are funny and problems that I did have, particularly the one about losing your best friend. Ruby Redfort was a fictional book series I invented for Clarice Bean. The idea is that Clarice is passionate about the adventures of school girl and American secret agent, Ruby Redfort. I began to get letters asking if the Ruby books were real I decided to write the series. I’d always wanted to write another novel series and it felt that I already knew who Ruby was and how to write the books though I hadn’t quite bargained on how difficult it is to write highly plotted yet funny thrillers. We can imagine that life at home is busy! How do you balance work and family? We’re all working mums and battle constantly with the guilt. It’s definitely a difficult balance working and being a mother, I imagine everyone would agree with that. I need to work, and yes, I feel guilty when my daughter wants my attention and I can’t be there. My mother worked for much of my childhood but she was amazingly good at giving me time when I needed it, of course there were times when she just couldn’t but I think in the main I understood. What I have figured out is that life is easier when I am illustrating, then my daughter can come and chat and draw with me in my studio. What’s the funniest memory or experience that you’ve had with Tuesday? One which comes to mind is when I was driving across town to visit a friend in a part of London I really wasn’t familiar with. On the way back, I felt I had taken a wrong turn but it was Tuesday (aged four) who pointed this out to me and told me that I should have taken a right turn rather than a left. She was correct. If you had to choose 5 books to a desert island, which would they be? Nancy Mitford Love In A Cold Climate, The Essays of Nora Ephron, Truman Capote short stories, JD Salinger short stories, Restoration by Rose Tremain. Which children’s authors have inspired you? I loved Quentin Blake’s illustrations as a child and particularly Grimble. Another favourite is Florence Parry Heide’s Shrinking of Treehorn, illustrated by Edward Gorey. I also really like John Burningham’s picture books such as Granpa and John Patrick Norman McHennessy, the boy who was always late. There’s something pleasantly anarchic about these books that appeals to me I love the way these stories see things from the child’s perspective. Other illustrators who I admire are Angela Barrett and Sara Fanelli, Maira Kalman. What has 2016 got in store for you – and for Charlie and Lola? I am finishing my final Ruby Redfort novel – number 6 which will be published later in the year and the new Charlie and Lola: One Thing, will be out in paperback. After that, who knows! Thank you so much Lauren – we will absolutely never not ever miss meeting you at the literary festival. Image #2 via Pinterest, Image #3 via Pinterest.